Antonella Benitez is a freshman at South Broward High School. 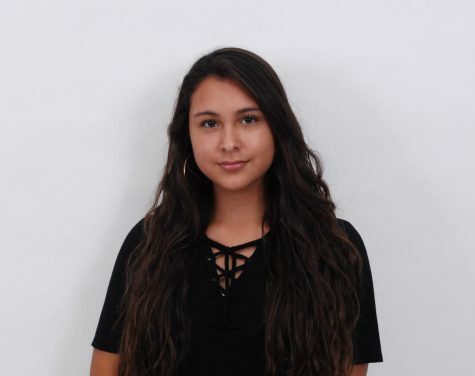 Benitez is enrolled in Journalism and is interested in graphic design. She signed up for Journalism because it seemed like a great opportunity to try new things and step out of her comfort zone. She is very passionate about succeeding in life and has goals for her future. Her greatest strength academically is Language Arts and her greatest academic weakness is Math. The type of news she reads is Instagram news, whenever something is trending. Benitez has one younger sister and two dogs. Her family is from Uruguay. Antonella aspires to be like her mom because she’s very hardworking and sacrifices everything for her and her younger sister. If she could visit three places in the world, she would choose California, Uruguay, and Dubai. In ten years, she hopes that she has a stable job and a partner helping her out. Antonella’s favorite food is Takis and her ideal outfit consists of high-waisted jeans, a crop top, and sneakers. When Benitez is not in school, she likes to go shopping and hang out with her friends at the mall. If Antonella could have any superpower she would choose the ability to clone into anything. In Closing, Antonella is a very ardent person who has big ambitions for the future.